RSVP by Monday, 12/1. 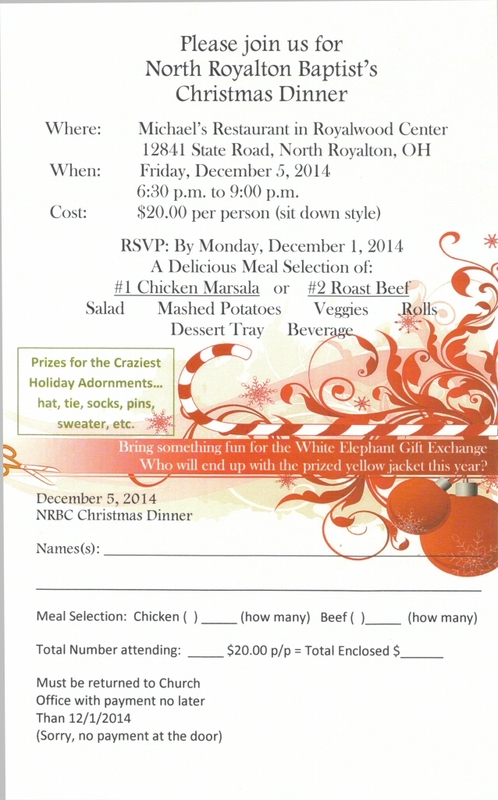 Please join us for the North Royalton Baptist’s Christmas Dinner on Friday, December 5, 2014 from 6:30 pm – 9:00 pm. $20 per person (sit down style). Prizes for the craziest holiday adornments… hat, tie, socks, pins, sweater, etc. Please click on print icon to print form.